No human has set foot on the moon twice, but one starred and striped piece of material has. A US flag that went on two separate moon missions hangs proudly in NASA’s historic mission control room – the one that oversaw the moon landing, but is no longer in operation. As of January 2016, a gargantuan exhibition will greet you upon entry to Space Centre Houston: a life-size replica of the Space Shuttle Independence piggybacking on one of the original NASA 905 shuttle carrier aircraft (the size of a large commercial airliner) – the way they used to bring shuttles back to earth. The best bit? It’s available for private parties. Now that’s a wedding shuttle! How do you train an astronaut to spacewalk, so they can fix those pesky International Space Station (ISS) glitches? Build a full-sized ISS replica, submerge it in a gigantic indoor swimming pool (10 times the size of an Olympic pool) and have astronauts scuba dive for hours and hours at a time (in full space suits) until they’re ready for most conceivable catastrophes. The Natural Buoyancy Laboratory, in its own factory-sized building, is the best way NASA could think of to replicate weightlessness. Interestingly, the US astronauts only train on the American parts of the ISS, even though the Russian sections of the station are fully intact in the pool too. Two displays at NASA show just how expensive and expansive space travel can be. 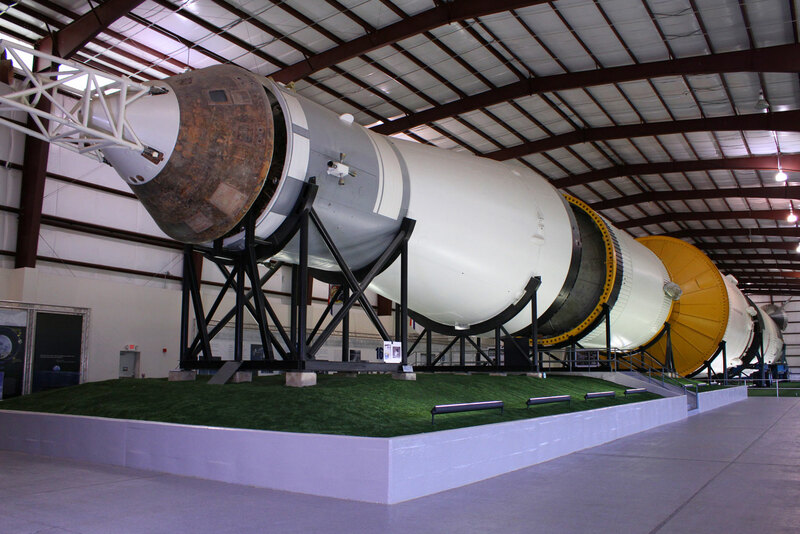 The Saturn V rocket, the most powerful rocket ever built (like those that transported Apollo astronauts to the moon), needs its own factory-size building to house it in. It is displayed lying down because upright it would stand around 36 storeys high. Similarly the Skylab 1-G Trainer (a training facility for the Skylab space station that orbited earth throughout the 70s, before it entered the Earth’s atmosphere and disintegrated in 1979) is so huge that Space Center Houston was actually built around it. Houston, we don’t have a problem getting into NASA anymore… In fact, visitors to NASA’s Johnson Space Center get a surprising amount of access to the epicentre of US spaceflight activities, unthinkable during the paranoid days of the Cold War space race. We were spaced out by the Level 9 tour, which takes you into the bowels of the space agency’s most intriguing facilities (barring the sealed-off, mysterious buildings, of course). You also get to play with the oddities and paraphernalia of Space Centre Houston, the huge facility’s museum and visitors’ centre. 1. Space shuttle party, anyone? 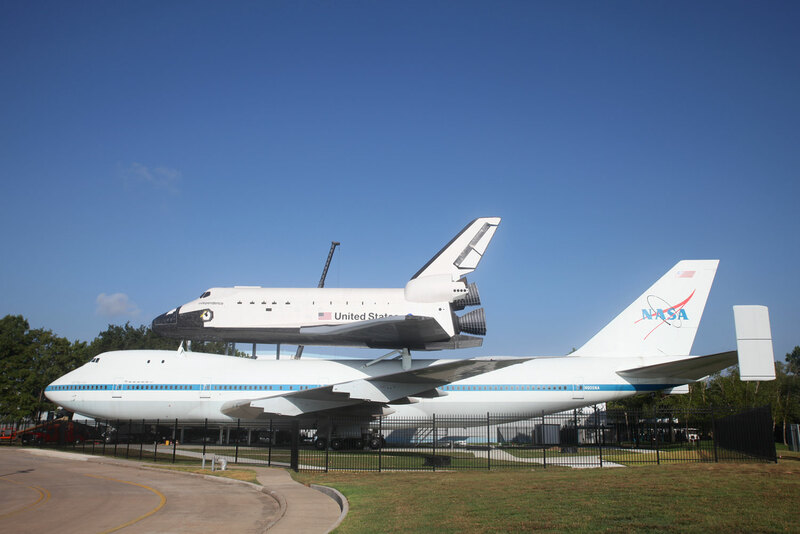 As of January 2016, a gargantuan exhibition will greet you upon entry to Space Centre Houston: a life-size replica of the Space Shuttle Independence piggybacking on one of the original NASA 905 shuttle carrier aircraft (the size of a large commercial airliner) – the way they used to bring shuttles back to earth. The best bit? It’s available for private parties. Now that’s a wedding shuttle! NASA Houston could be in its own galaxy, with more than 100 buildings spread over 660 vast hectares (remember, one football field is around one hectare). In between the isolated and inaccessible 60s architecture are capacious paddocks with very-Texas longhorn cattle roaming around. It even has its own police force. NASA leases this huge site from Houston’s Rice University. How much would expect to pay for this much prime big city real estate? Exactly one dollar per year – seriously. One thing you notice strolling around NASA is how much the space agency loves to blow its own trumpet – and with pretty good reason. It claims to have developed technology that has transformed almost everything we do in modern life: helping golf balls fly further; improving heart surgery; developing freeze-dried food; perfecting hang glider design; and even supporting us during a night’s sleep with the invention of memory foam. How do you train an astronaut to spacewalk, so they can fix those pesky International Space Station (ISS) glitches? 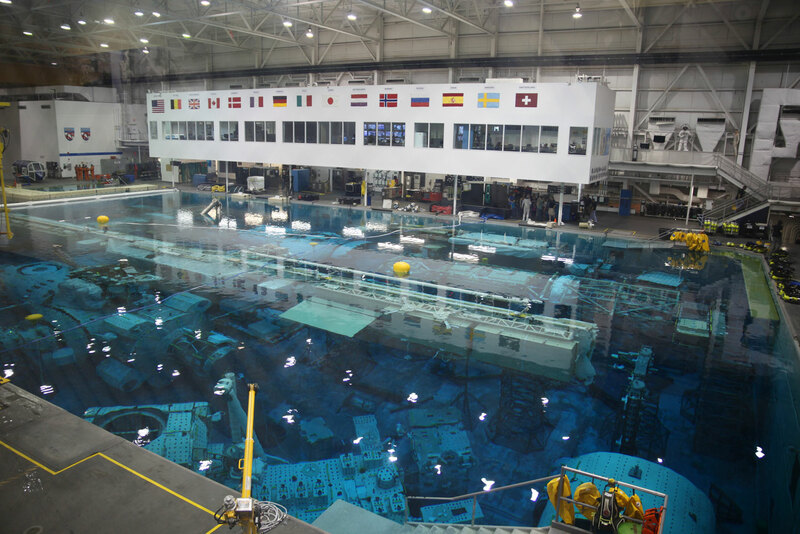 Build a full-sized ISS replica, submerge it in a gigantic indoor swimming pool (10 times the size of an Olympic pool) and have astronauts scuba dive for hours and hours at a time (in full space suits) until they’re ready for most conceivable catastrophes. The Natural Buoyancy Laboratory, in its own factory-sized building, is the best way NASA could think of to replicate weightlessness. Interestingly, the US astronauts only train on the American parts of the ISS, even though the Russian sections of the station are fully intact in the pool too. Only a handful of people have set foot on the moon, but millions have actually touched it. Pride of place at Space Center Houston is a rock brought back from the moon (or a Hollywood sound stage, if that’s what you believe). The unassuming black boulder has been worn smooth by the fingers of millions of visitors – it’s difficult to walk past without a quick touch. No human has set foot on the moon twice, but one starred and striped piece of material has. 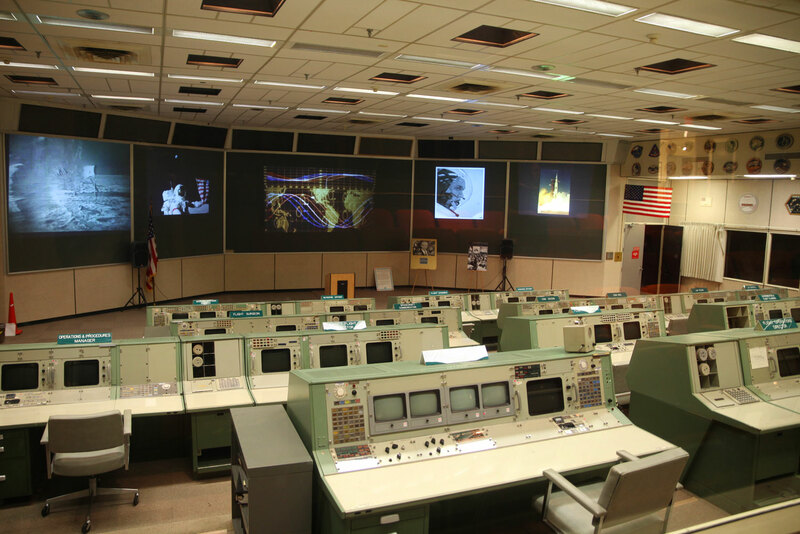 A US flag that went on two separate moon missions hangs proudly in NASA’s historic mission control room – the one that oversaw the moon landing, but is no longer in operation. Despite winding back the US space race since the space shuttle program ceased, there are still plenty of real-life astronauts wandering around NASA. You can even bump into one or two of them at the cafeteria (only on the Level 9 Tour). It’s not an easy gig to get, though. On NASA’s last astronaut intake, there were 6000 applications for eight positions. And don’t even bother applying without a PhD in a relevant field. 9. Forget Watergate! What about Longest-phone-call-in-history-gate? Richard Nixon is said to have made the world’s longest distance phone call when he spoke to moon landers Neil Armstrong and Buzz Aldrin from the Whitehouse. But the wife of an astronaut on the ill-fated Apollo 13 mission apparently spoke directly to her husband from a phone booth behind the mission control room too. 10. My own room, if you please! Two displays at NASA show just how expensive and expansive space travel can be. The Saturn V rocket, the most powerful rocket ever built (like those that transported Apollo astronauts to the moon), needs its own factory-size building to house it in. It is displayed lying down because upright it would stand around 36 storeys high. Similarly the Skylab 1-G Trainer (a training facility for the Skylab space station that orbited earth throughout the 70s, before it entered the Earth’s atmosphere and disintegrated in 1979) is so huge that Space Center Houston was actually built around it.